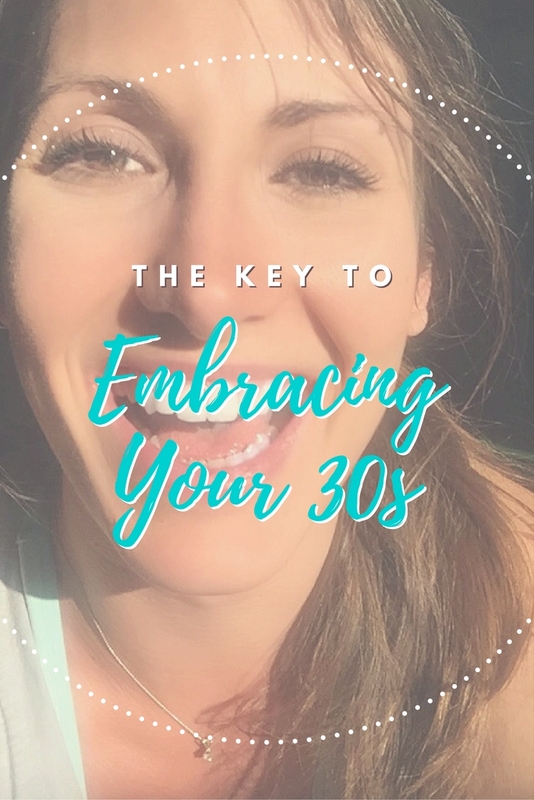 Do you find yourself dreading your 30s? A few years ago I reached a point in my life that I had been dreading for years- my 30th birthday. I had built it up for so long as this turning point I just wasn’t ready for. All I really did though was create unnecessary negativity in my life. The truth now that it’s finally happened? I have never been happier with myself! Healthy living in your 30s is something you should look forward to! It’s a time when we can really identify with ourselves instead of trying too hard to find that first big job or mindlessly partying day after day like we are still stuck in college. Only to later on wish you had started to care about your person way sooner…. at least that was my experience for most of my 20s sadly. I don’t even really feel like I am remotely similar to the girl I was a decade ago. 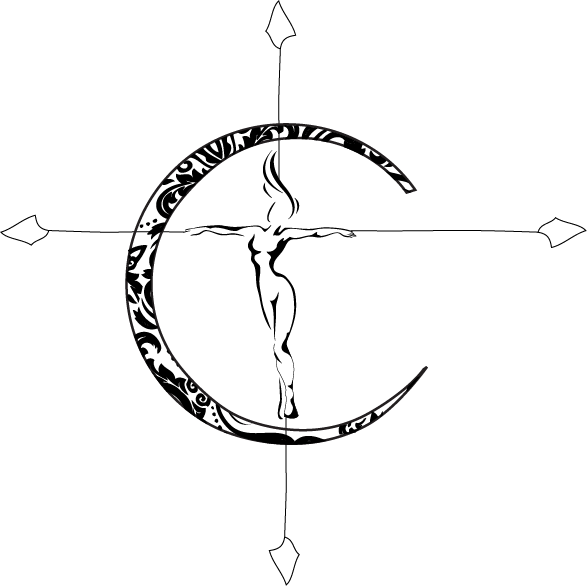 I have turned into a new woman in mind, body, habits and goals! I started this blog to help other women do the same and want to give some of my best advice. There are 5 different sections of my blog so here are 5 tips for each! Healthy living in your 30s can be something to look forward to, and these tips will help you transition in to your next decade. 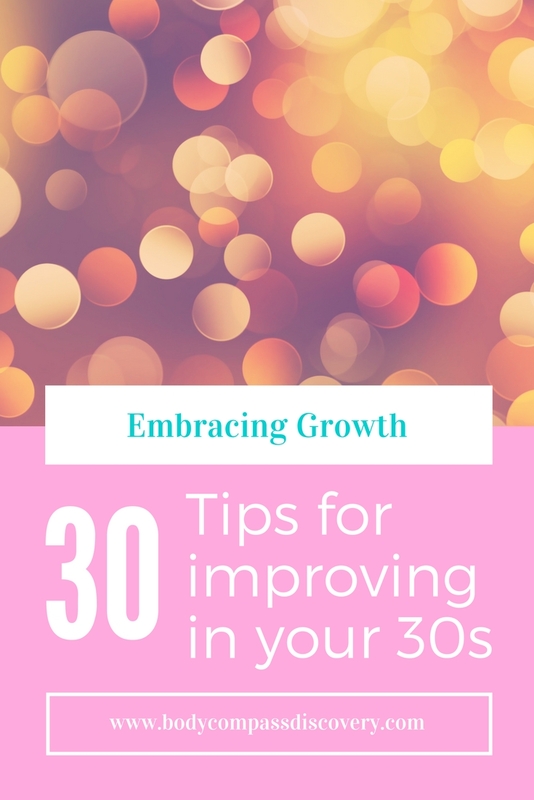 Wondering how to make your #30s better than your 20s? Check out these #selfimprovement tips! – Stop eating crap the majority of the time. Cut the processed foods and eat clean for the most part. Your body will thank you in the long run. Seriously. The health issues that come up later in life usually all result around what you chose to eat for years and years. – Don’t skip meals. This kills your metabolism and can cause you to overeat when you finally do go for food. You should eat three good meals a day with snacks in-between. – Eat in balance. Don’t be scared of healthy fats or good carbs. Getting in protein is essential and don’t neglect your veggies. It’s not hard, and you don’t have to stress yourself out with trying to follow diet trends. Just consume everything in moderation! Eat to live and it will come naturally so you don’t have to constantly overthink it. Discovering the 21 Day Fix program is what transformed things for me! – Eat within an hour of waking up. This gives you energy right away, gets your brain functioning and gets your metabolism working for the day ahead. – Fuel your body with carbs and protein after a workout. Your muscles need this to recover properly. Don’t go for a cheat meal just because you rocked it at the gym. Abs are made in the kitchen after all. Seriously, you can’t run from your fork. – Switch it up! I try to alternate yoga, HIIT routines, hiking, kickboxing, etc. all the time so I don’t plateau. It keeps your muscles challenged and it’s also really important to alternate cardio and strength training. Plus, you may discover a new hobby! I fell in love with PiYo and am now certified! – Get active almost daily. It gets harder as you get older so make it a habit as soon as possible! This can be as simple as just taking walks. At least 20 minutes of exercise consistently can literally save your life. If you stick with something you won’t have to keep starting over. Results happen with time! – Stop focusing on the scale and start focusing on how you feel and look in the mirror. I weight more now than I did in my 20s but I definitely did not have this muscle tone! – Get those steps in! It really helps to make sure you are moving constantly. Too many of us sit at a desk all day. Get up and move! Often! – Form is more important than reps. You can easily injure yourself by trying to rush through a move or not executing it accurately. Take the time to do it right and you will see results. – Say goodbye to toxic relationships. You can safely say you are too old for that nonsense now. Why bother with people who are just going to drag you down for years? One of the best things I did for myself in my late 20s was cut all of the negative and fake people from my circle. I stopped trying to go after guys who weren’t right for me or friends who would just turn on me. At some point you have to stop repeating old patterns. I started my 30s fresh from this bad habit and it made life so much lighter! – Discover you! In our 20s we try so hard to fit in and go with the trends. In my 30s I have learned so much more of who I am. You have to quit obsessing over what others think and just enjoy what you like. Give yourself a chance! – Find confidence in yourself. This did not come easy, but it is one of the most important. I became more self-confident when I started to take care of myself- mentally, physically and emotionally. I developed in to a better version of myself and with that came confidence in the fact that I was a new and improved woman. – End every day thinking about something positive that happened. We dwell so much on things that bother us. Our lives are constantly bombarded with venting or talking about our problems. Talk about your joys! – Listen to positive podcasts! This really improved my way of thinking. If you are stuck in traffic, cooking, stretching, whatever it may be- just put one on and feel the change! – Learn to meal prep. This saves time after a long work day, when you are busy with kids and when life just gets in the way of you trying to make a good choice. It also saves money! Think about how much you spend on going out all time! It also makes it so much easier to choose to eat right when you already have the food ready. This doesn’t have to be a day long endeavor either, you can meal prep a little at a time throughout your week. I have plenty of tips on this! – Time management is key as we get older. Either we feel that we never have enough time or we are bored and are doing nothing with the time we do have. If you give yourself a to-do list it really helps take the stress away, or the feeling of guilt that you didn’t get anything of value done. We waste so much unnecessary time throughout the day, way more than we realize! – Make your needs a priority. How are you going to show up for your loved ones or even yourself if you don’t value what you know is important to you? Ignoring your needs will cause you to build up subconscious resentment and wear yourself out. I figured out what mattered most to me and made sure that I fit it in to my schedule as often as possible. Get in something for you daily, no matter how busy you may be. Take a bath, read a book for half an hour, listen to some music, go to yoga- whatever you need! – Cook at home. If you are constantly eating out, ordering in or picking up food for every meal you are not doing your body good. There is so much hidden in restaurant or pre-made food that is terrible for you. I don’t even need to discuss fast food. If you make your own meals you know exactly what you are consuming! – Your daily habits determine your future. Think about what actions you take regularly. Are they moving you closer to your goals? – Stop damaging your hair…. before it’s all gone. I literally used to iron my hair. With an actual iron. I dyed it every few months. I went from full and thick hair to thin and fine hair that won’t hold color anymore. I now soak my hair in coconut oil before a wash. I also only wash it about twice a week. I use natural hemp if I want to color it now. I let my hair dry naturally. Just take care of your roots, because it takes a really really long time to get back to what you once had. You can also improve your hair from the inside out with the right foods and supplements! Thank you B12 and folic acid! Learn to love salmon, walnuts, eggs, avocados- shouldn’t be too hard! Avoid starchy white foods, alcohol and sugar if you want better hair (and overall health). – What you put in your body matters, but so does what you put on your body. I did not have a skin care regime until my late 20s, and now in my 30s I realize how much that should have mattered to me earlier. I put egg whites on my face to try to minimize wrinkles now. Homemade face masks have become one of my favorite forms of self-care! It’s amazing how you can revitalize your youth just with some oils, foods and natural elements. – Using oils is more than just hippie nonsense. I make homemade insect repellent (do you know how many chemicals are in some of the products we use??) and to aid with stomach pains, headaches, sinus issues, etc. – Stop relying on pills to fix everything for you. There is no magic pill. A lot of things we experience are happening because of an intake choice we are making. If you adjust your eating habits you can usually fix a lot more problems than you think! – This seems silly, but drink more water. It is the simplest natural remedy you can do! I used to hardly drink any, and I have noticed a huge difference since this adjustment! Staying on top of your daily intake of water ensures your body will function properly. It helps to flush out toxins and keeps you from getting fatigued so you can go about your day the way you want to. Also, getting enough water in helps prevent aging, and what woman doesn’t want that?? #healthyliving in your 30s is something you should look forward to! I really do feel that I am now getting better with age! My life changed when I entered my 30s, and I will never go back. If growing older means continuing on this path then I am looking forward to seeing what changes the upcoming years will bring for me! I would love to hear from you! Are you having anxiety about turning 30? Are you in your 30s and loving it more than your 20s?